It’s a Wonderful Nutcracker blends the magic and awe of a traditional Nutcracker with inspiration from Frank Capra’s iconic film, “It’s a Wonderful Life”. Menlowe’s delightful production has been embraced by audiences for its warmth, humor, and original blending of these two classic tales. 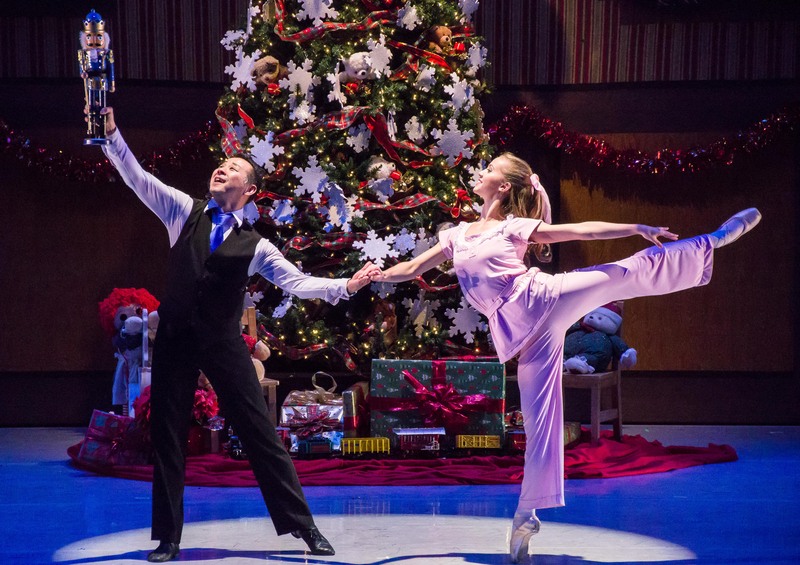 Adults appreciate the ballet’s humor, message, and world-class dancing, while youngsters perch on their seats as dancing dolls magically appear, toy soldiers battle mischievous mice, snowflakes swirl, and a beautiful angel appears. Joining the 20 professional dancers of Menlowe Ballet are 90 students from the company’s official school, Menlo Park Academy of Dance. Performances run December 14-16 & 21-23 at 2pm and 7pm. Tickets available: www.menloweballet.org. For group tickets: lisa@menloweballet.org.